That big, fluffy heart was quite the challenge for me, colouring-wise. Serves me right for printing the image out so large, doesn't it? 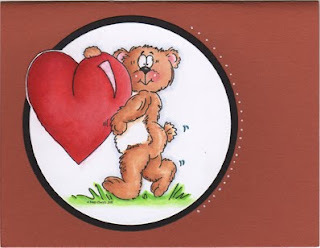 The stamp (Big Hearted Bear) is a digi from Sassy Cheryl's. haha, so en härzige Bär! July 4, 2011 at 12:44 p.m.
oh, but you did an awesome job of colouring! digis are definitely a challenge sometimes. July 12, 2011 at 3:14 p.m.